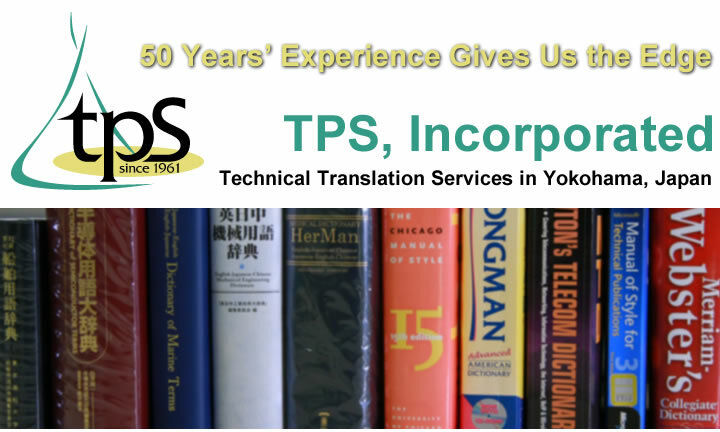 TPS has for over half a century specialized in translation of Japanese and English technical documentation for the telecommunications, electronics, computer, and software industries, with a trusted client base we are very proud of. A highly coordinated management team, top-notch translators, editors, and DTP specialists, commitment to quality and deadlines, and competitive pricing are just a few of our competitive advantages. 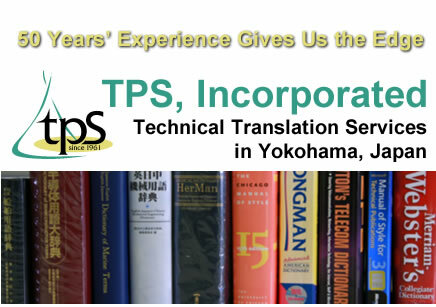 Copyright © 2002-2015 TPS, Incorporated. All Rights Reserved.